A three panel painting on the biblical theme: the calling of the twelve and the sending of the twelve (Pentecost). 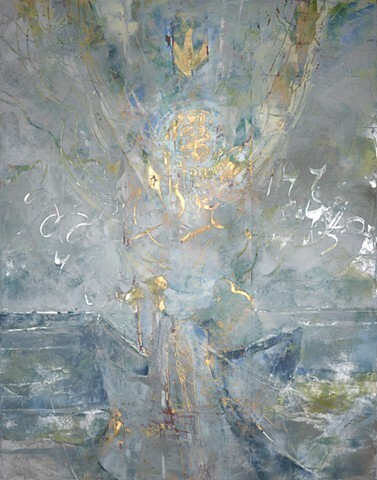 Beneath the oil and wax layers is a large crucifixion / resurrection in gold leaf and silver/aluminum leaf. The watergilded layer reflects through the layers of wax and oil. Difficult to capture the nuances of light from various angles.